In a dungeon, even the dice need to toughen up! Finally, you've reached your goal: the final boss of the dungeon. You and your group have spent hours in seedy taverns, dungeons and derelict castles. You step into the lair of evil and are promptly greeted by a swathe of magical fire. Since you were so eager to land the first blow on the boss, you went ahead and stormed through the gates. 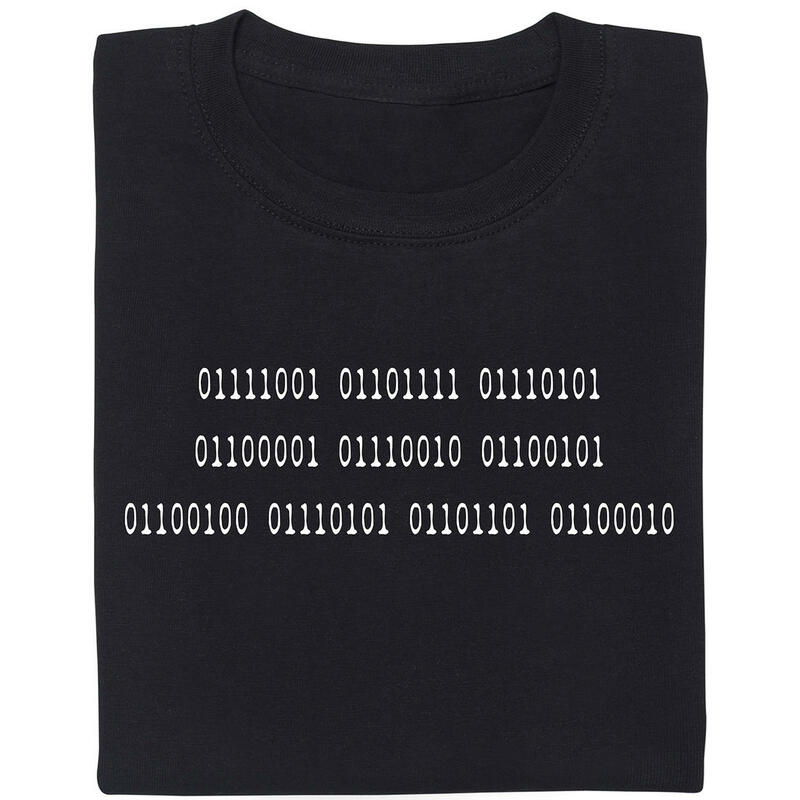 Sadly for you, that means you will get roasted in your armour  unless you manage to succeed on your saving throw! On such an occasion, mere plastic dice do not suffice! You're gonna need bigger ba... ehm, a bigger set of dice. 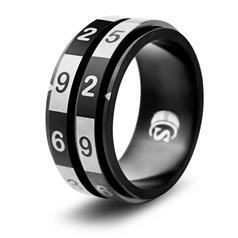 Like the Polyhedral Metal Dice in a Set of 7. Each of these high-quality metal dice has a nice weight and heft to it, which will give you an idea of the dwarven secrets used to create it. 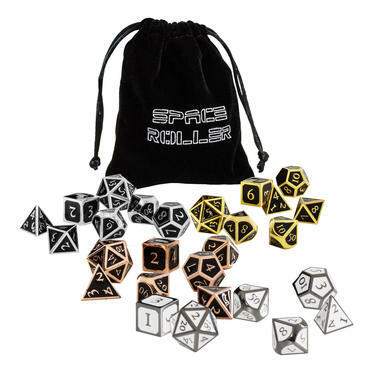 Since different systems use different dice, the set contains not only a cloth bag but one of each of the following dice: D4, D6, D8, D10, D12, D20, D100! Additionally, you can choose between four different variants with different base and frame colours: Black with golden frame, black with silver frame, black with copper frame and white with silver frame. Toughen up and get that first blow in as you storm the gates! 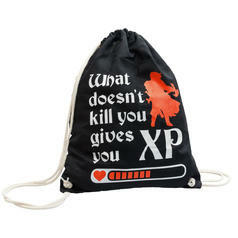 8.65 £ lade... RPG Role Playing Gym Bag Remember: Going to the gym gives you tons of XP! 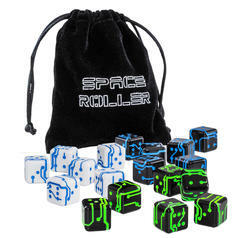 16.95 £ lade... Space Roller - 6 Science Fiction Dice Six cool science-fiction dice in a unique design and with a cloth bag! 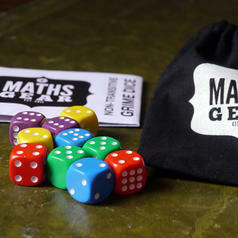 from 8.65 £ lade... Intransitive Grime Dice Use the might of maths to beat your friends!